Since 10.2015: Researcher at the Department of Geography, Friedrich-Alexander-University of Erlangen-Nürnberg. 2013 – 2014: Head of the Department of Geology – Faculty of Sciences – University of Aleppo, Aleppo, Syria. 2008 – 2015: Researcher and university teacher at the Department of Geology, Faculty of Science, University of Aleppo, Syria. 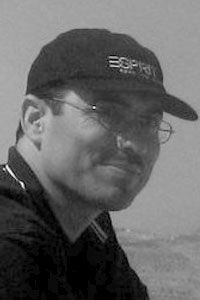 2002 – 2008: PhD student at the Geosciences Centre, University of Göttingen/Germany (Department Cartography GIS & Remote Sensing and Department of Applied Geology). 1998 – 2001: Teacher’s Assistant at the Department Of Geology, Faculty of Sciences, University of Aleppo. 1992 – 1997: Studies of Geology at the Faculty of Science, University of Aleppo, Syria. Sahwan, W., Lucke, B., Kappas, M., Bäumler, R., 2018. Assessing the spatial variability of soil surface colors in northern Jordan using satellite data from Landsat-8 and Sentinel-2. European Journal of Remote Sensing. Lucke, B., Hussein, H. H., Sahwan, W., Bäumler, R., 2015. Preliminary survey of soils and sediments in the Dead Cities region, northwestern Syria. In: Riis, T. (ed. ), The “Dead Cities” of Northern Syria and Their Demise, Verlag Ludwig, Kiel, 33-59. 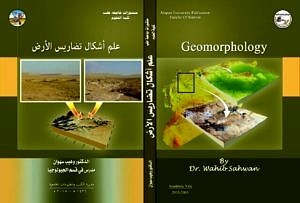 Sahwan, W., Geomorphologie, Lehrbuch, Abteilung für Geologie, Fakultät für Naturwissenschaften. Verlag der Universität von Aleppo. 2014. Sahwan, W., (2018): GIS and Remote Sensing to detect Landscape-degradation during the conflict in Syria: “A Case Study Hama Governorate”. Annual Meeting Working Group of Desert Margin Research, Schloss Rauischholzhausen, Germany. Sahwan, W., (2017): Using GIS and RS to detect Damages in Syrian Agriculture Sectors during Crisis. Syrian International Geography Network Conferences, Giessen, Germany. Sahwan, W., (2017): Using remote sensing to assessment of the spatial variability of soil colors in North-Jordan, Annual Meeting Working Group of Desert Margin Research, Schloss Rauischholzhausen, Germany. Sahwan, W., (2009) Integration ArcGIS and AquaChem to Hydro chemical Characterization of Groundwater in the upper Aquifer in the East of Hama-Syria. International Alumni Seminar der TU Berlin, Damascus, Syria. Sahwan, W., (2009) Processing of SRTM Data to improve geomorphological interpretation and extraction of subcatchments (Aleppo Basin) using GIS technique. 2ed Syrian geological conference, Damascus. Sahwan, W., Sauter, M., Kappas, M. (2006) Hydro- Geomorphological mapping using the integration of remote sensing and GIS. 3rd Symposium of the German-Arabic Society for Environmental Studies Environmental Protection in the Middle East and North Africa. Water Resources and Air Quality, Frankfurt, Germany. Sahwan, W., Kappas, M, Erasmi, S. (2005) Remote sensing based classification of salt affected soils as an indicator for landscape degradation in the South of Aleppo, Syria. 1st Remote Sensing and Geoinformation Processing in the Assessment and Monitoring of Land Degradation and Desertification (RGLDD2005), Trier, Germany. Sahwan, W. (2008), The application of GIS and remote sensing techniques for the solution of geomorphological and hydrogeological problems hydrogeological problems – Case studies from northwest Syria (German – Arabic). In: Kappas, M. (Hrsg. ): Erdsicht – Einblicke in geographische und geoinformationstechnische Arbeitsweisen, Band 19, ibidem-Verlag, 2010. Cooperation with GORS (General Organization of Remote Sensing, Syria 2012-2014): exploration of groundwater resources in the Al-Kalamoon region (NW-Damascus / Syria) through the integration of data of remote sensing and cartography. Dialogue-based cooperation project (3 years) between Tu-Berlin and universities in the Arab countries under the title „Water– Sustainable Use of a Special Cultural Possession in the Arabic Region“ (wasSAR) Under the Higher Education Dialogue with the Islamic World (DAAD). Participation in the program for the modernization of the Syrian water sector (BGR – GTZ 2008 – 2009): consulting for the processing of GIS and remote sensing data in Aleppo. Participation in the SMART project (Jordan – University of Göttingen 2007-2008) Production of a high-resolution Digital Elevation Model DEM using Cartosat data and DGPS, West Amman, Jordan. GIS & Remote Sensing (GIS I). Special methods PG: Introduction to the analysis of remote sensing data. Processes of change: comparing historical cultural landscapes. Seminar Physical Geography: drylands / Arid Lands. Special methods PG: remote sensing. Remote Sensing and Geographical Information Systems (GIS). 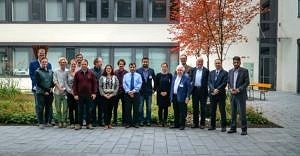 October 2017: Coordination of the Workshop “Perspectives in research and development assistance through the integration of GIS and Remote Sensing Examples for Syria (Cultural Heritage – Environment)”, Erlangen, Germany. 2012–2014: Member of unit for skills and career guidance at the Faculty of Science, University of Aleppo, Aleppo, Syria. 2012: Participation in the conference „Arab Higher Education in Times of Change –A new passage to transformation“. 2009: Participation in the 4th German-Syrian Environmental Week, 6-10.12.2009, Aleppo, Syria.